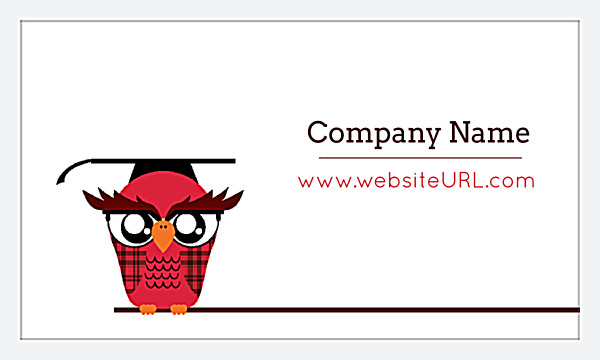 Your brand will earn high marks when you print business cards using our Classroom Owl business card design template, perfect for tutors, learning software companies, educators, and schools. The front features a wise owl illustration, complete with graduation cap, to command attention from potential customers; and the back presents your contact information with a clean layout that earns style points for solitary line art on a solid background. Classroom Owl is available in both horizontal and vertical layouts and three unique color palettes; plus four different edge finishes. Choose your custom options to print custom business cards that showcase a powerful brand image, no designer needed! Customize your business card colors, text, layout, fonts, and images in mere minutes with our online design tool, an easy-to-use point-and-click system that helps you quickly make the perfect business card for your brand. Tweak your design until you’re completely satisfied, then simply select your printing options – that’s all it takes! While your business cards are printing, share your design with friends and colleagues by downloading a free PDF. You don’t want to wait long to start promoting your company with your new business cards, so you’ll love PsPrint’s rapid printing turnaround and reliability backed by our customer satisfaction guarantee. Plus, take advantage of even more customization options with ultra business card printing, die-cut business cards, and even folded business cards. 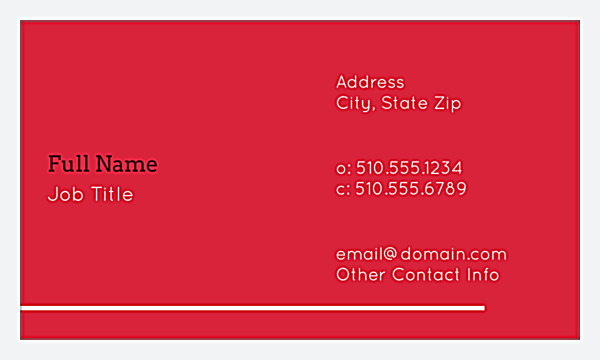 Your company is only as good as your brand image, so make the grade with custom business card printing from PsPrint today!